Google announced the first set of Android apps making their way to Chrome OS this morning, those being Vine, Duolingo, Evernote, and Sight Words. 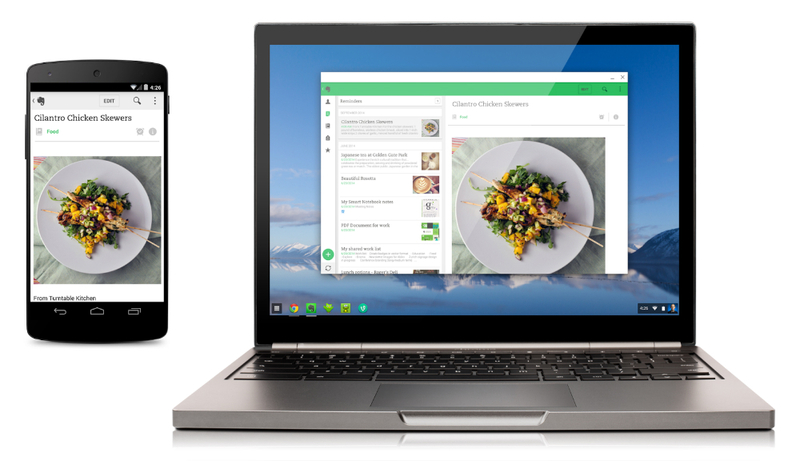 At Google I/O, the company announced they would be working with select developers to bring Android apps to Chromebooks, allowing users to have a few of their favorite apps always with them. With Android apps running though Google’s “App Runtime for Chrome,” users get the full Android app experience on their Chromebook, even without a data connection. However, from what I can see, the Vine app won’t work very well without a data connection. If you would like to see your favorite app make its way to a Chromebook, you can tell Google which one you want right here.